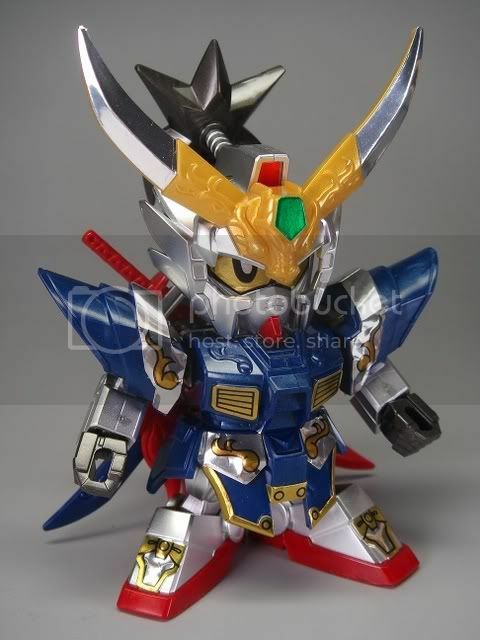 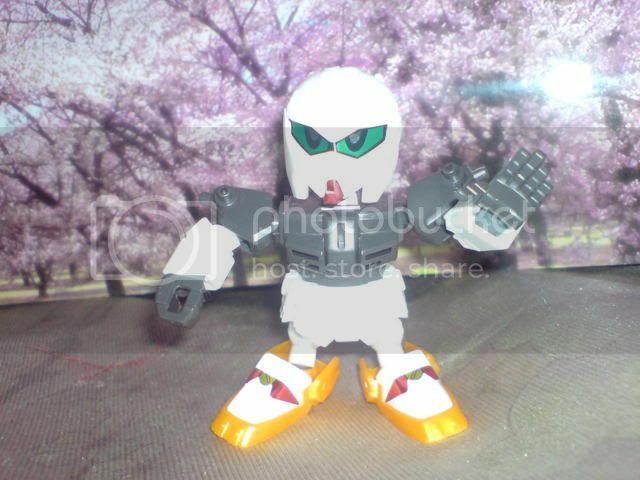 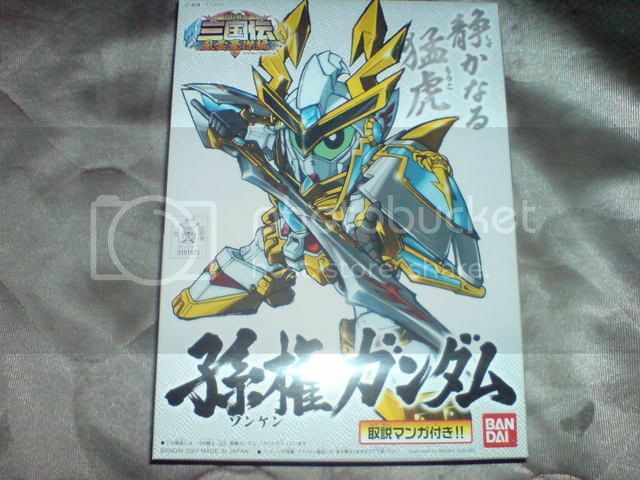 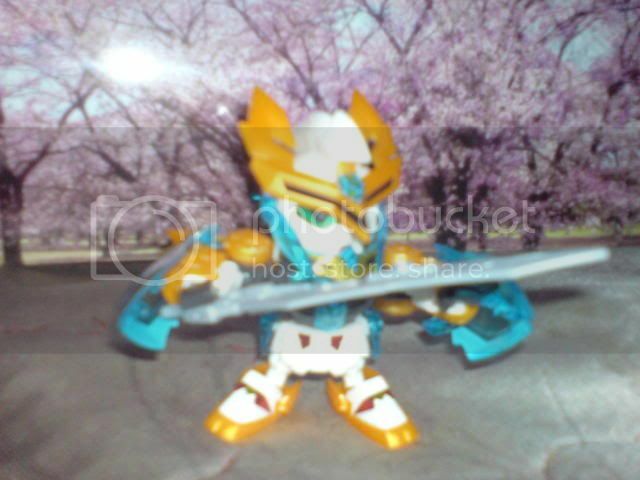 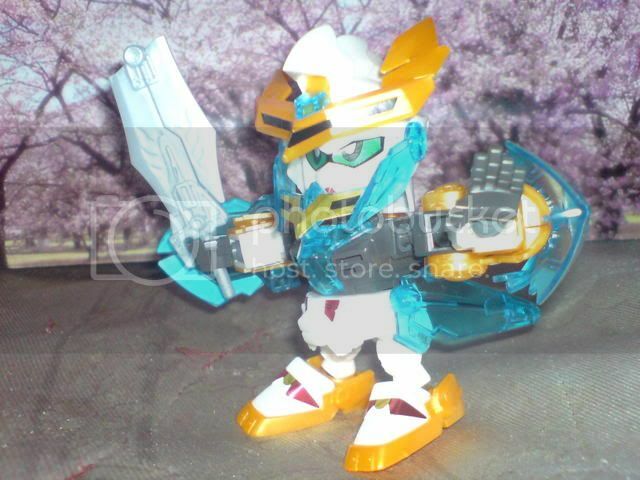 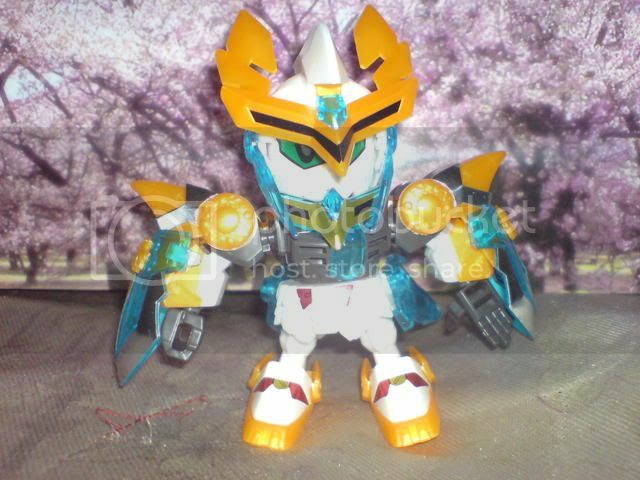 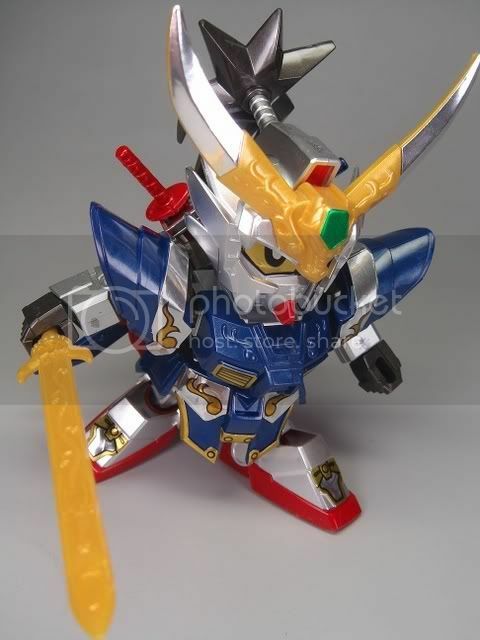 This is a limited edition SD Liu Bei from the recently concluded Gunpla Expo in Nagoya. 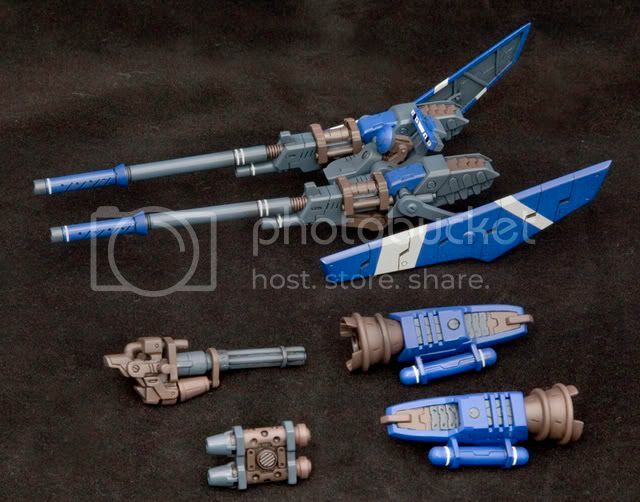 This kit is in metellic color compared to the regular kit. 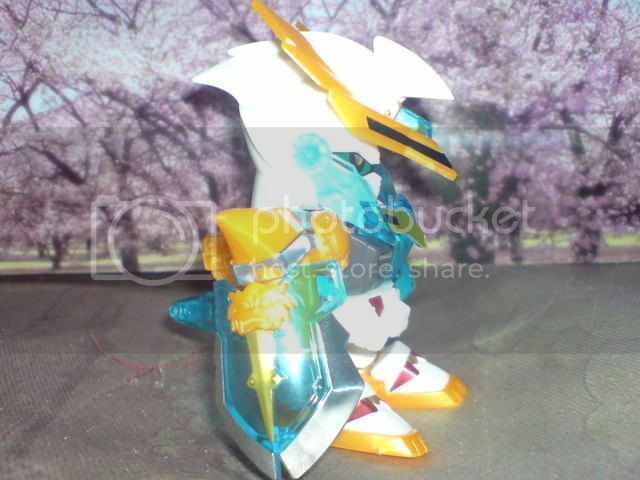 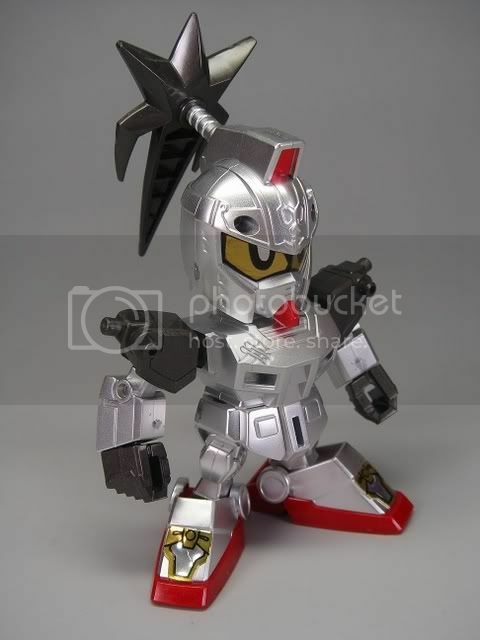 The white parts are molded in silver metallic colors. 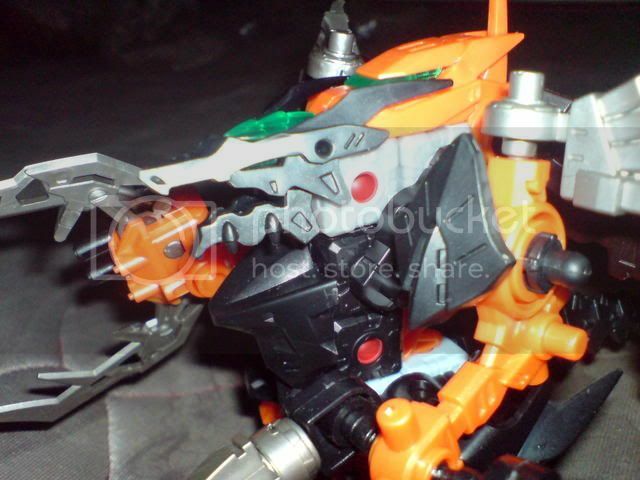 The comparison pic, from the regular kit. 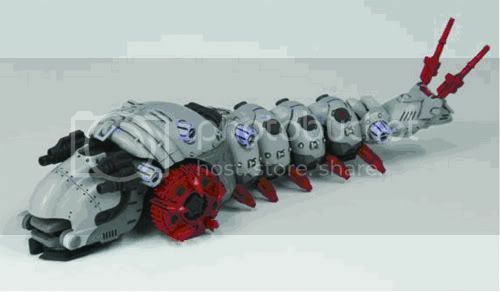 Me want this.. 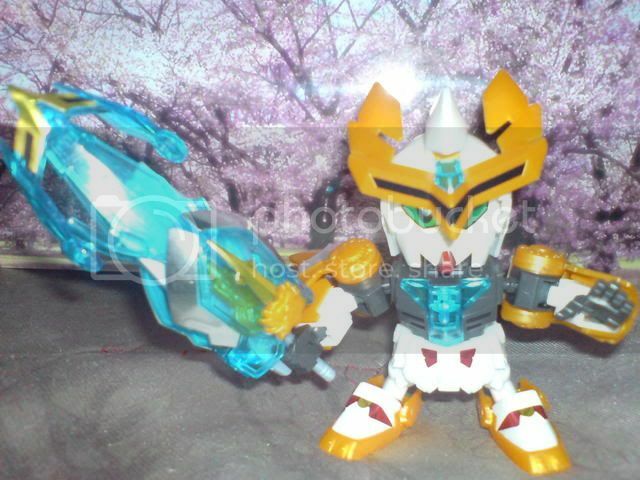 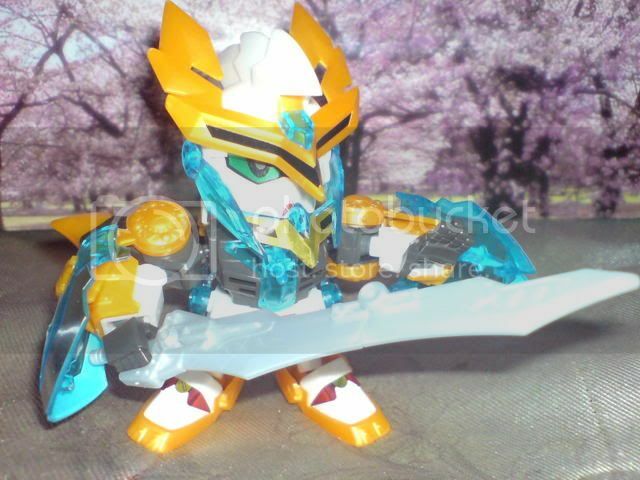 Without the armor that used in the sword, sun quan looks very bold..
From happinetonline.com. 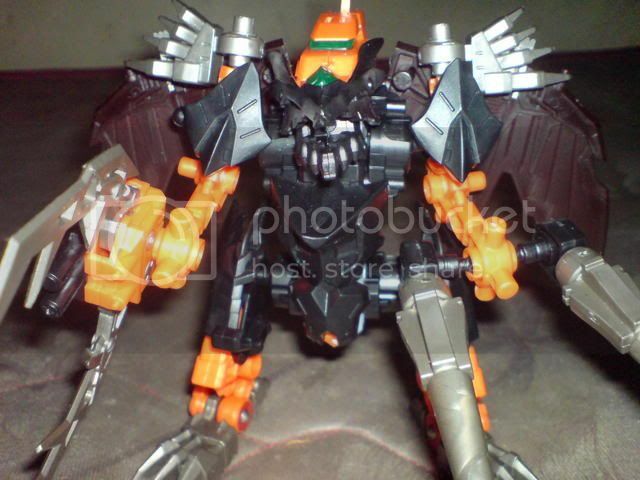 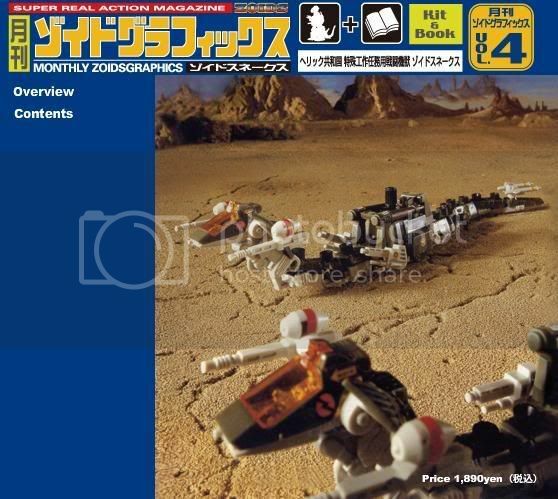 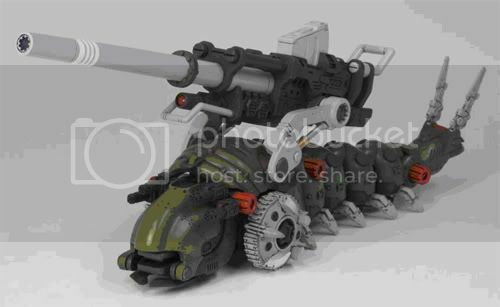 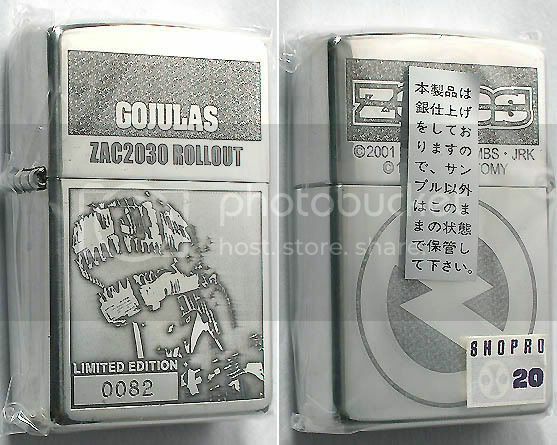 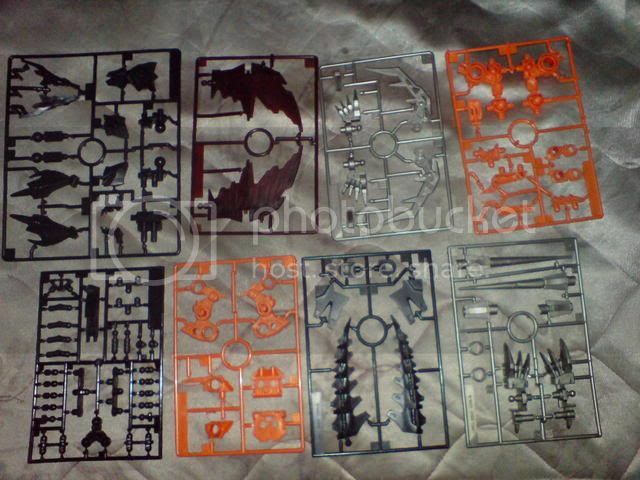 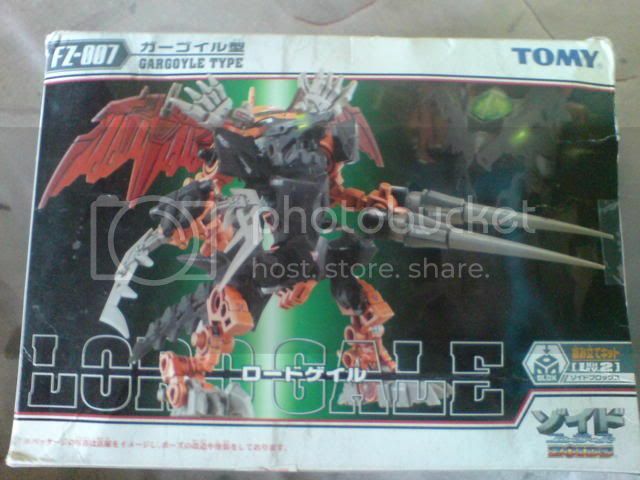 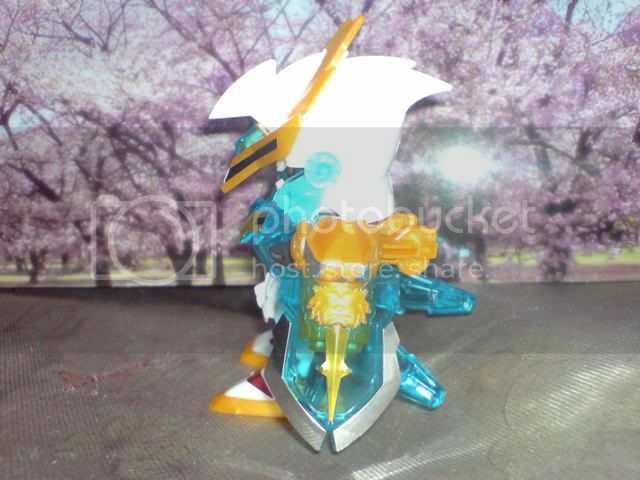 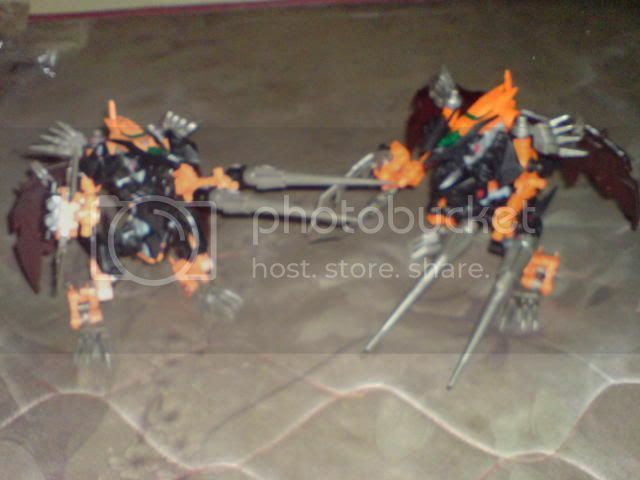 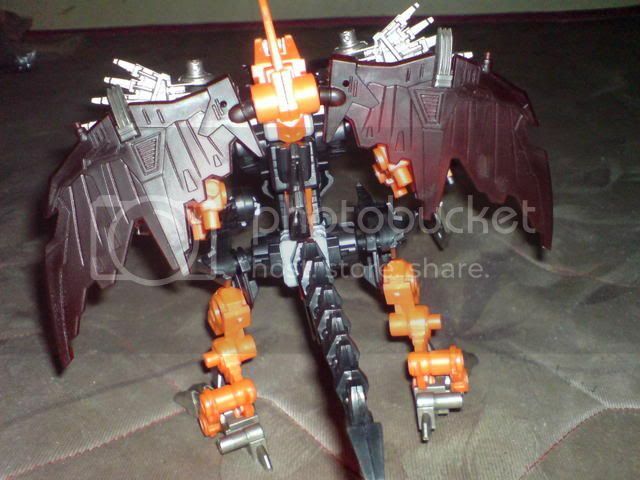 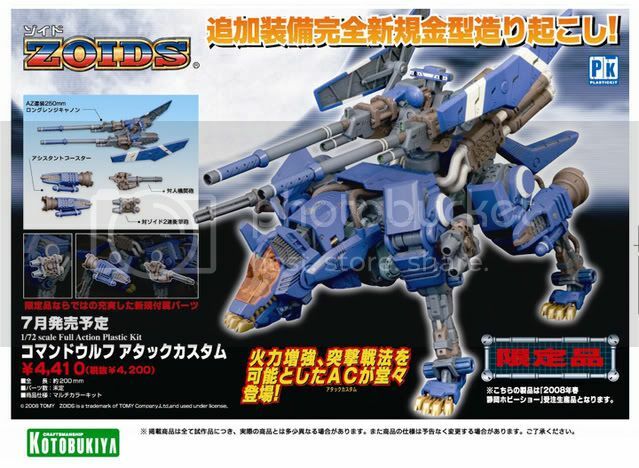 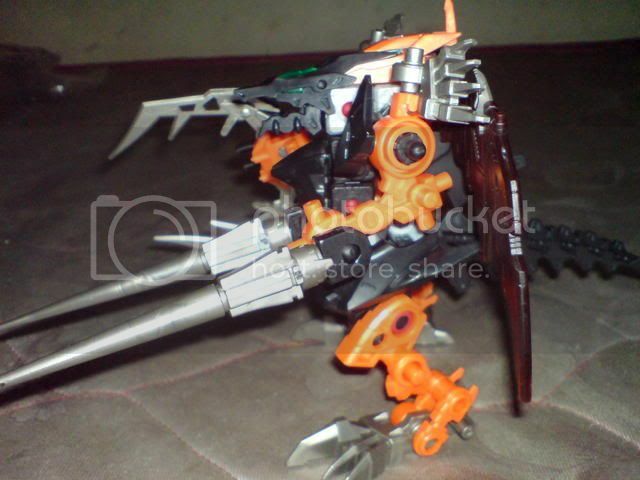 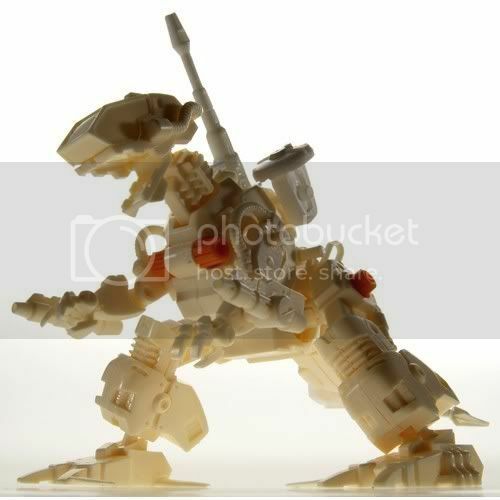 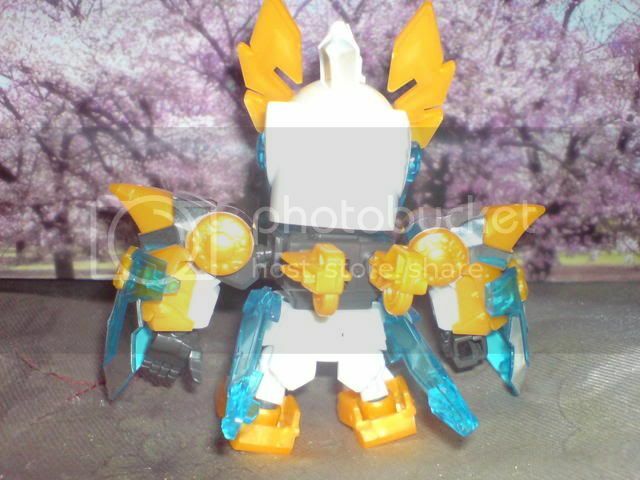 These are some prototype pics of new zoids design. 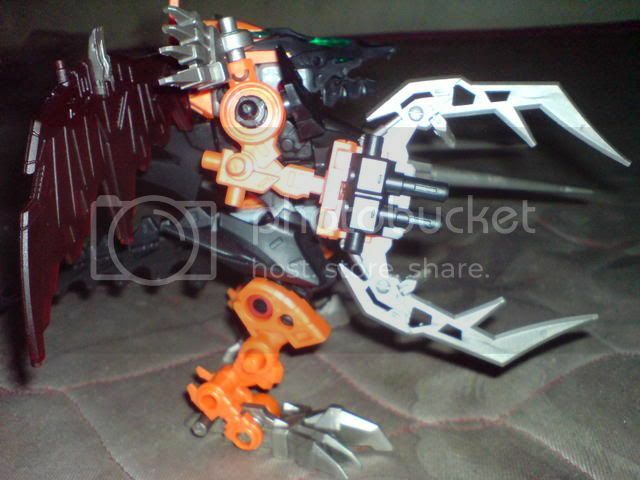 The "Neo-godos" seems to be articulated. 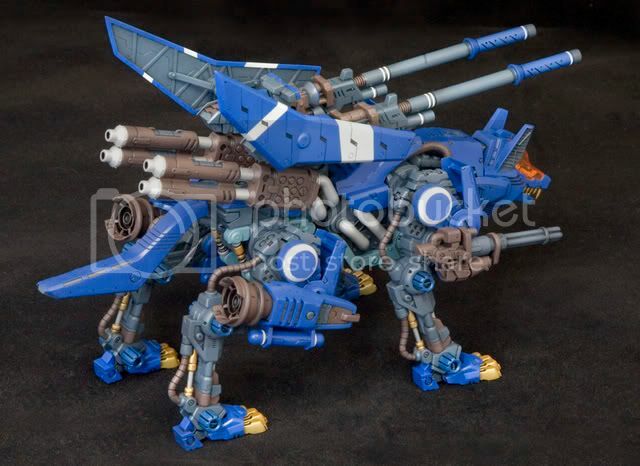 I wonder what is the color scheme for this one. 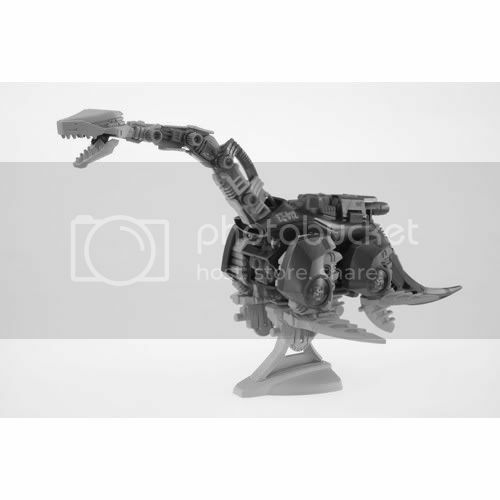 The other prototype is a Plesiosaurus type, reminds me of "Nessie". 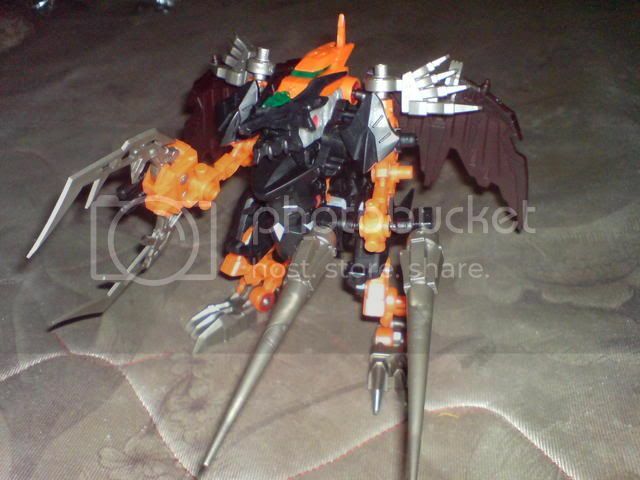 Looking closely at this design it seems that this one is just a re tool of brachios. 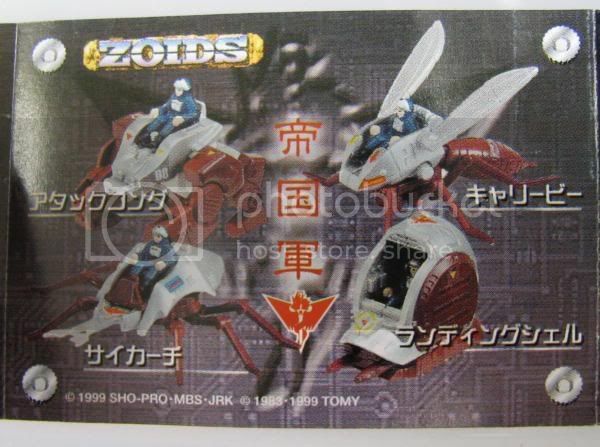 Saw these at Yahoo Japan. 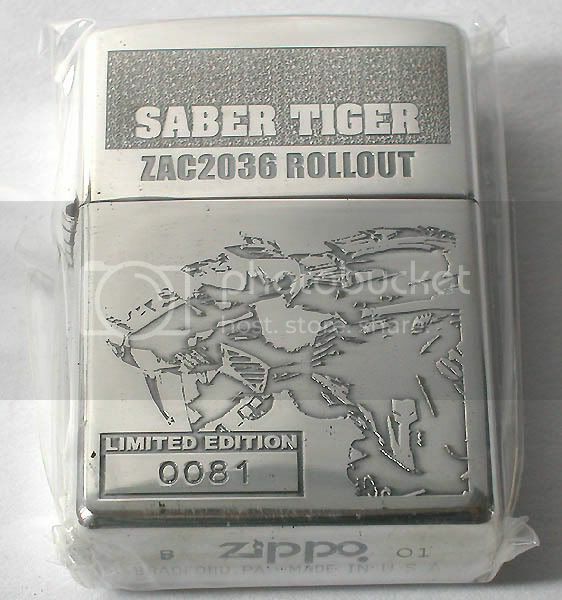 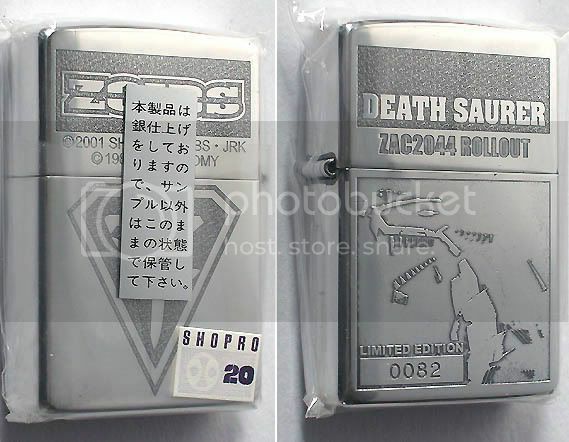 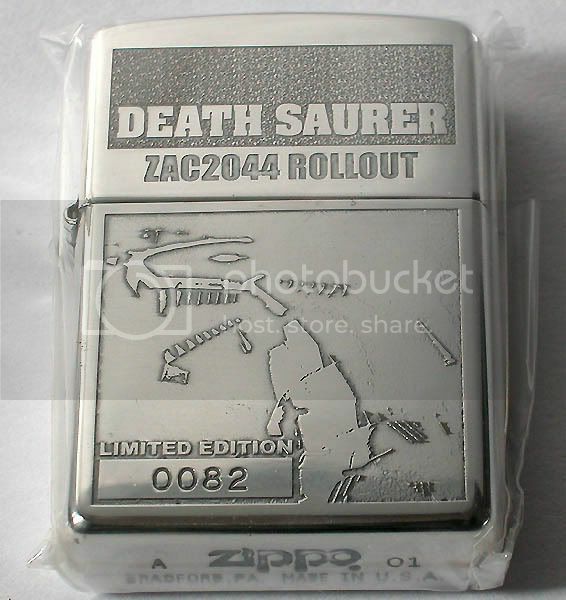 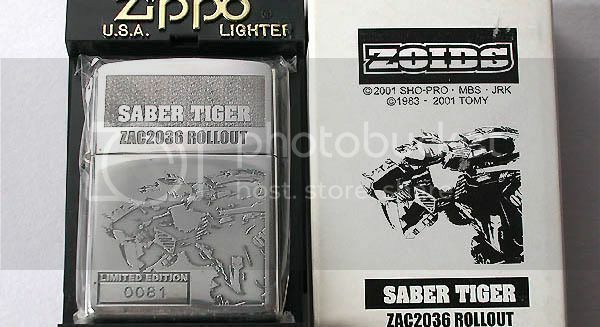 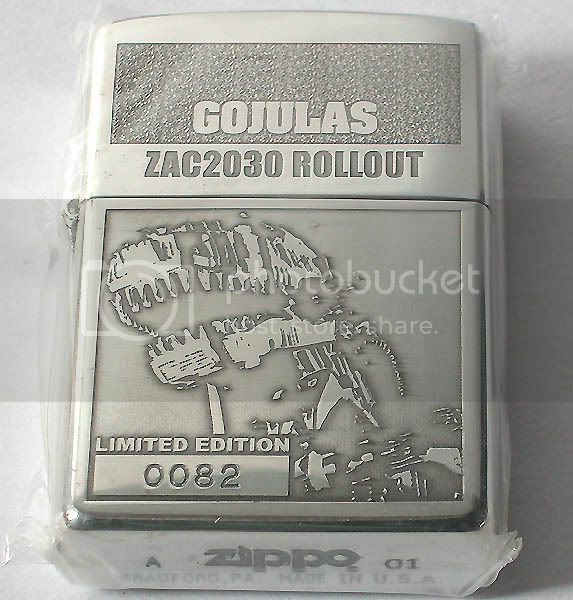 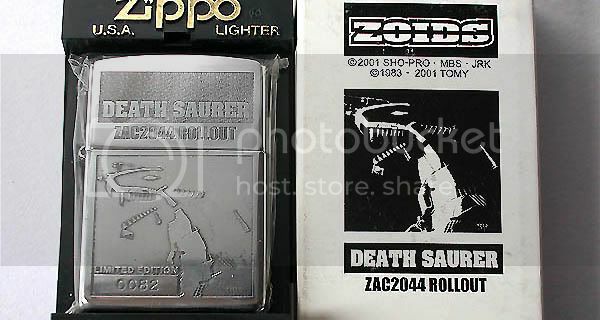 Limited edition zippo lighters. 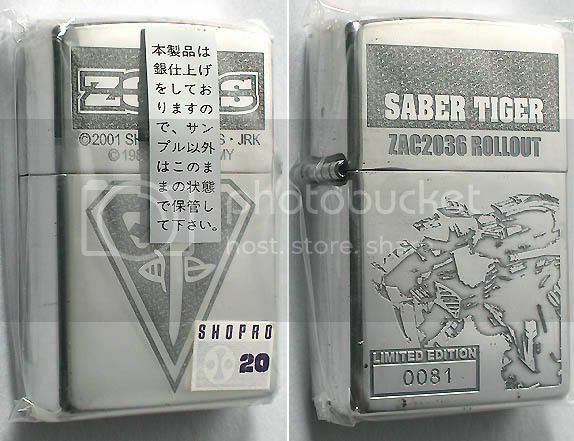 So far i've seen three designs. 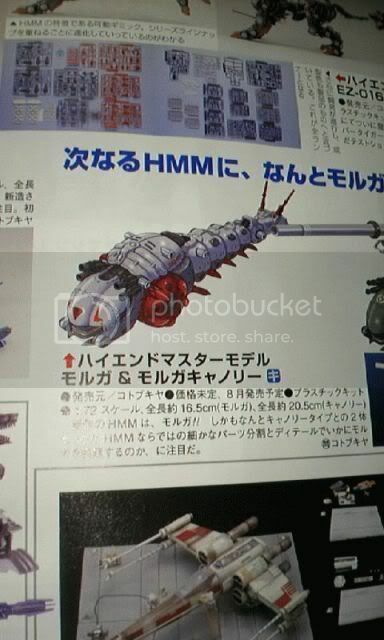 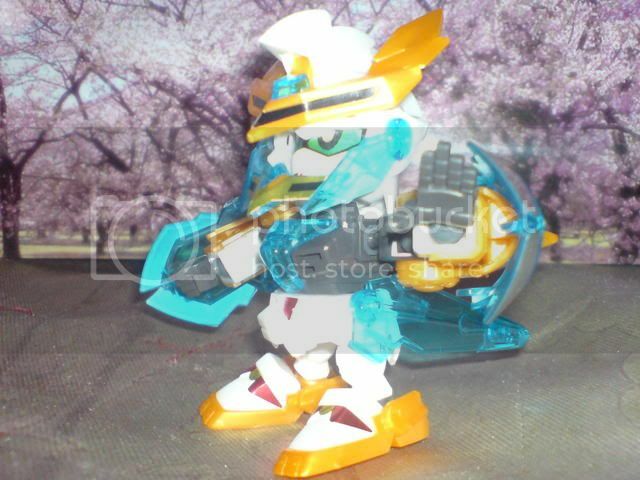 Here are some pics of HMM Molga and Molga Cannory. 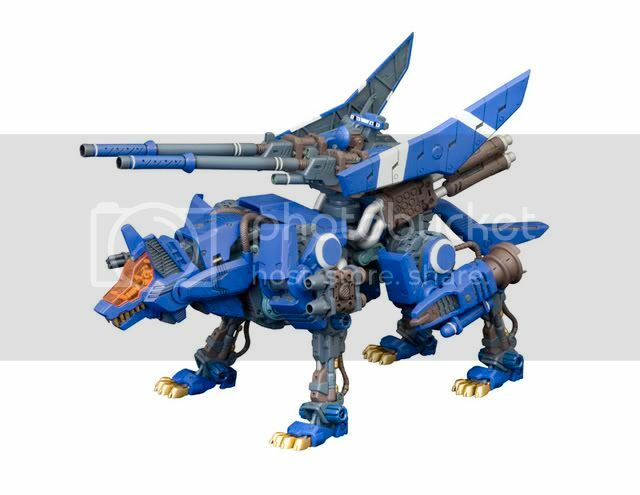 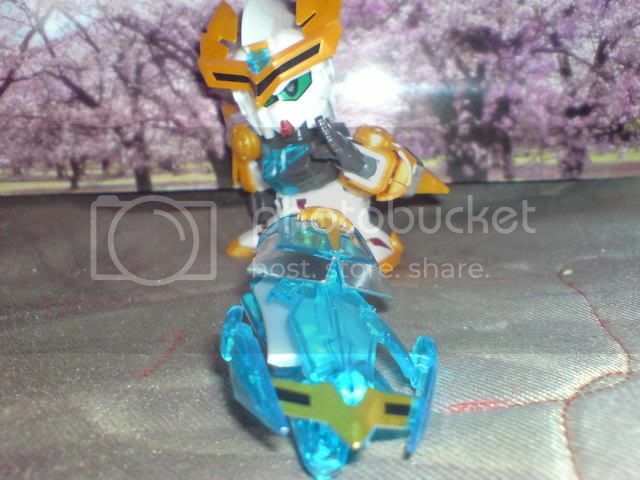 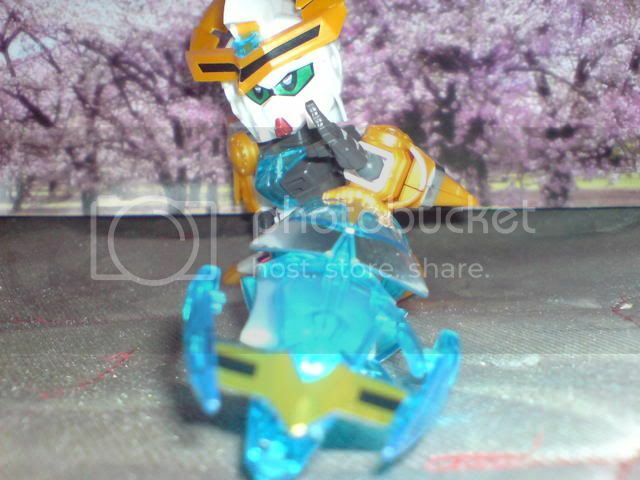 From Takara Tomy Website. 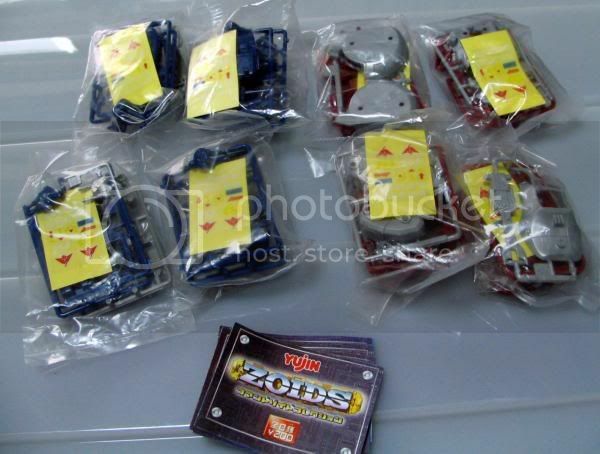 This is the fourth installment of the Zoid Graphics Series, Snakes. 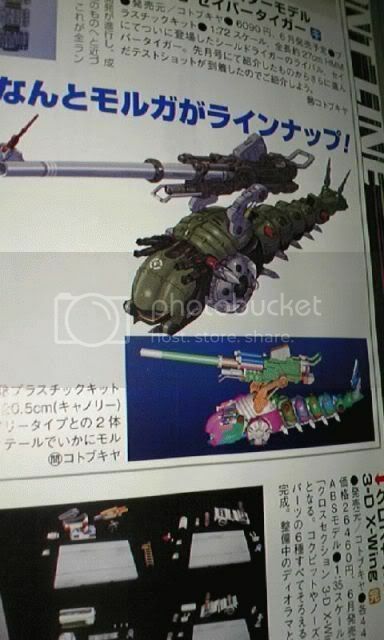 The kit will be release around May. 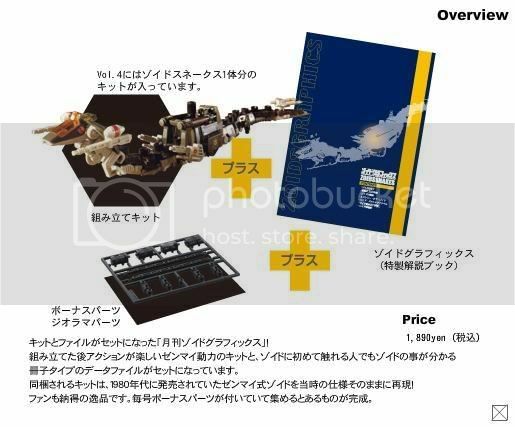 It includes the kit, the diorama base sprue and the magazine and will cost 1890 yen. 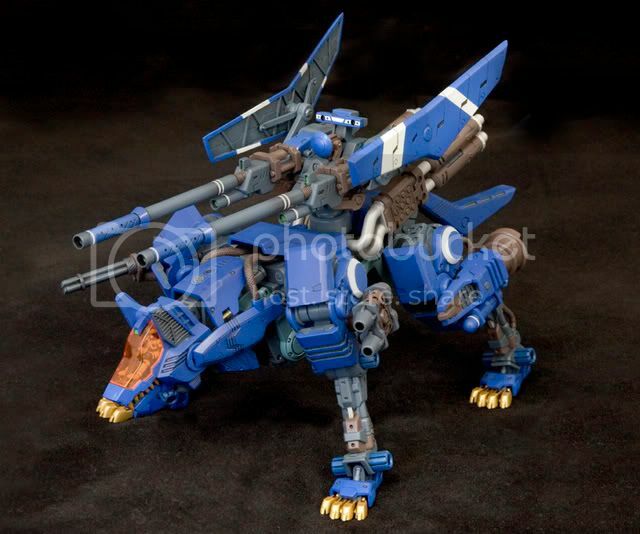 Some new pics of Kotobukiya HMM Command Wolf AC.. 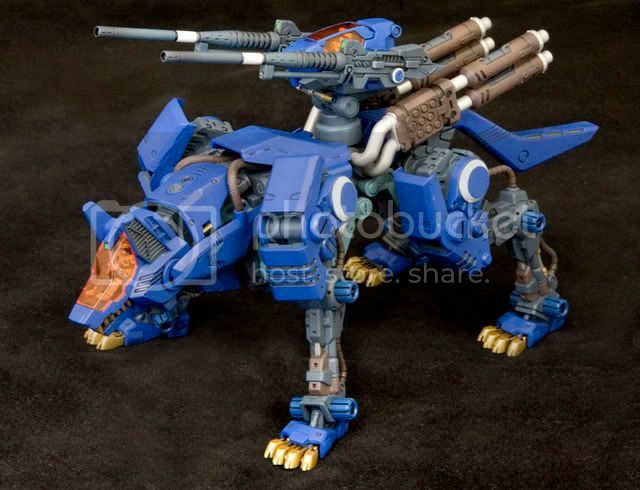 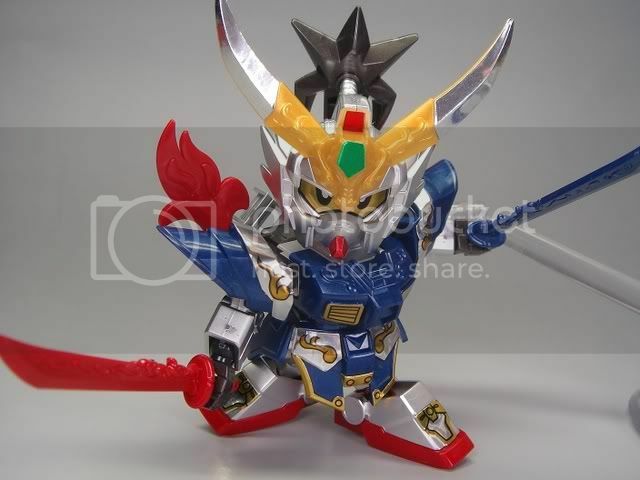 The kit is said to be released on July 2008. 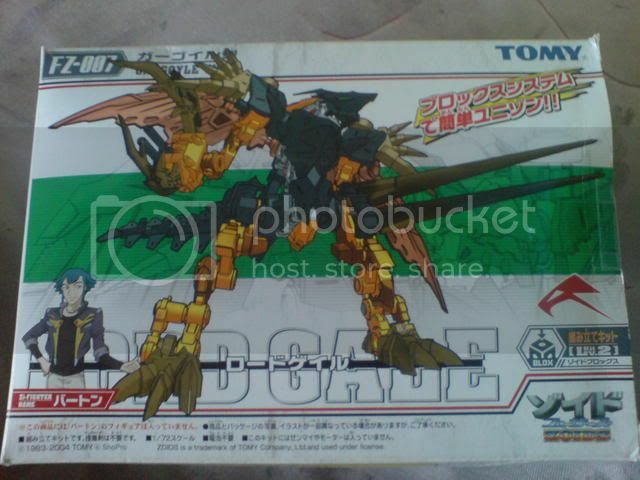 I'm really looking forward for this kit. 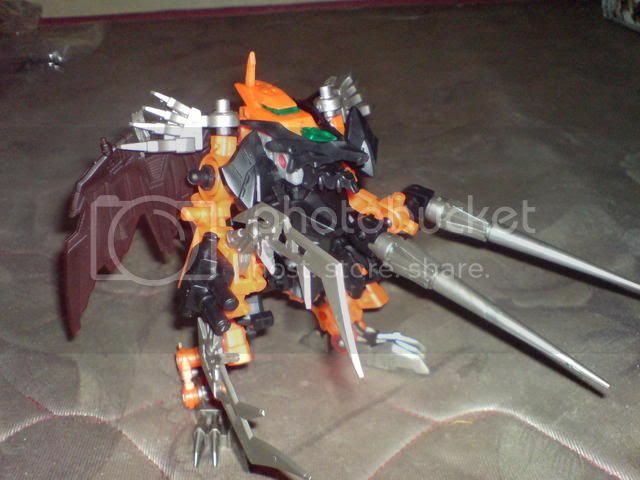 The Fuzors version of Lord Gale. 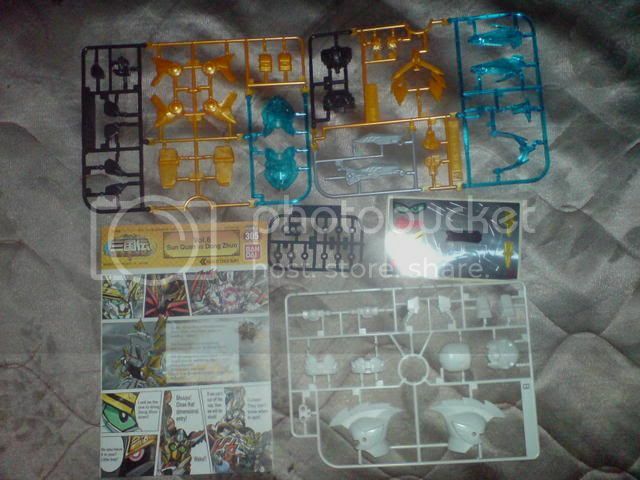 Same as the other Fuzors kit, the box art looks good. 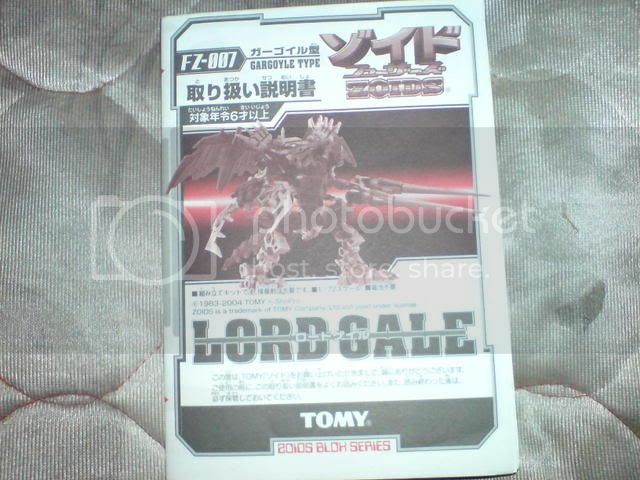 The backside of the box, featuring the anime version of Lord Gale. 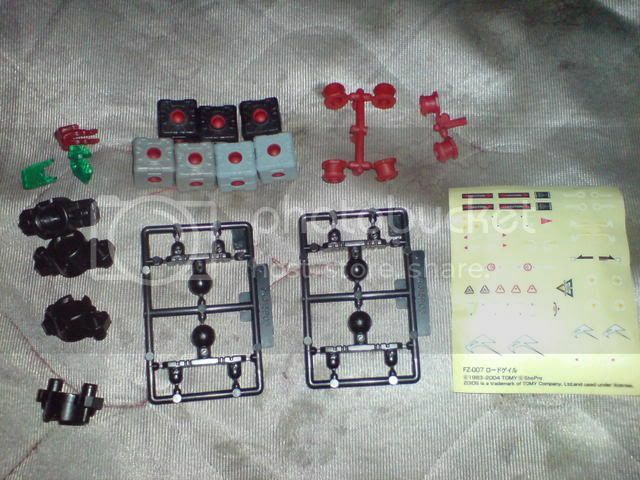 The parts.. 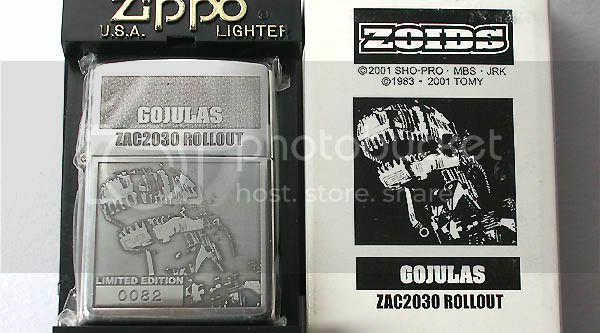 The instruction manual.. 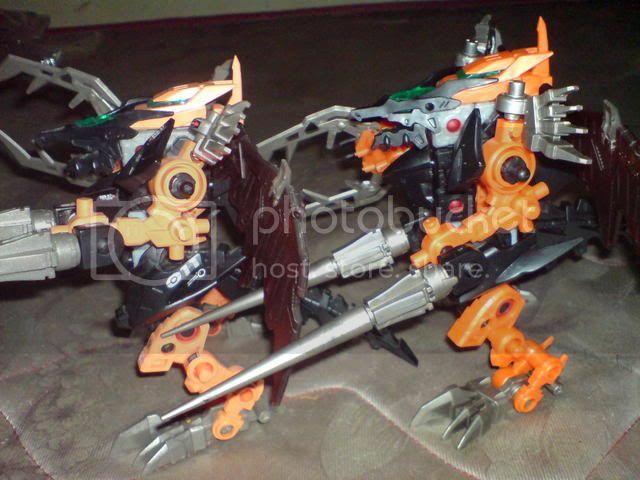 The built kit.. the orange parts of the Fuzors Lord Gale are more metallic than the NJR.. Front view.. Side view.. Another side view.. Rear View.. 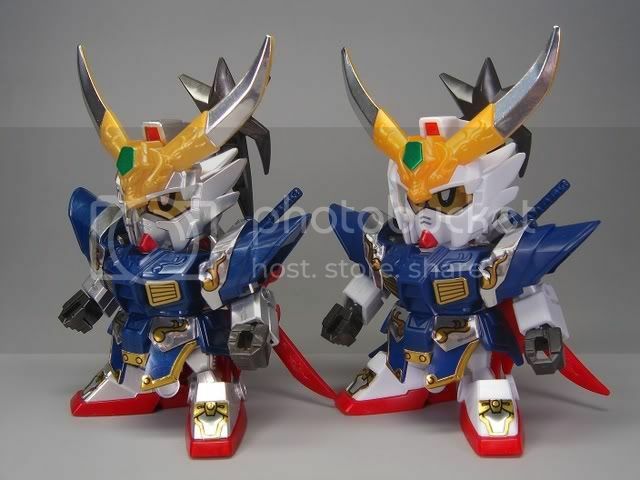 Compared to NJR kit.. the NJR (left) color is a little dull compared to the Fuzors (right) More close up look for color comparison.. 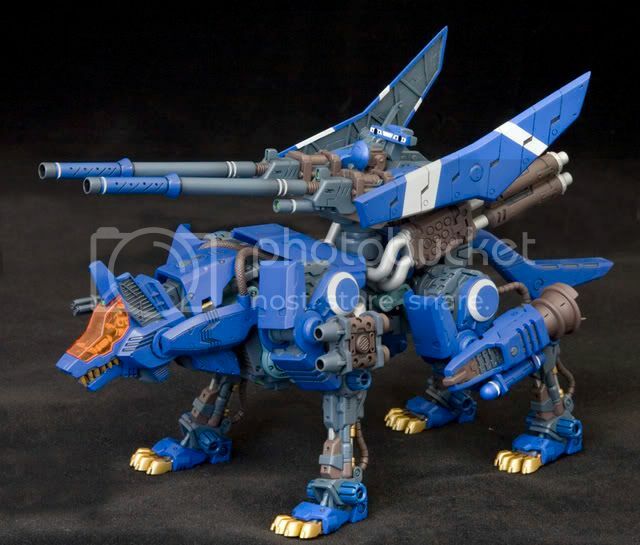 The design of the Lord Gale is very unique. 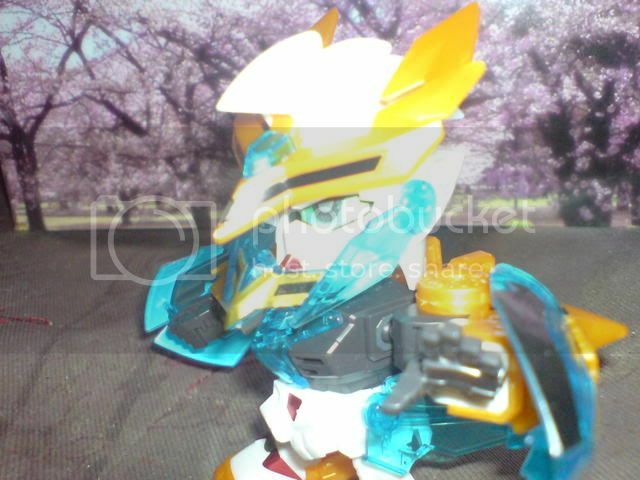 When I got the NJR version, I loved it. 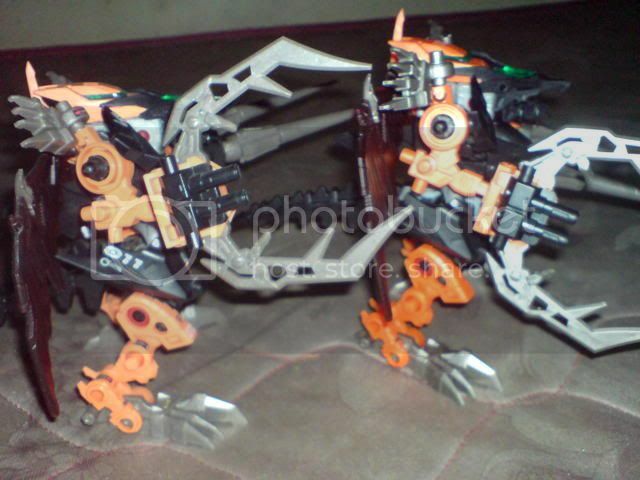 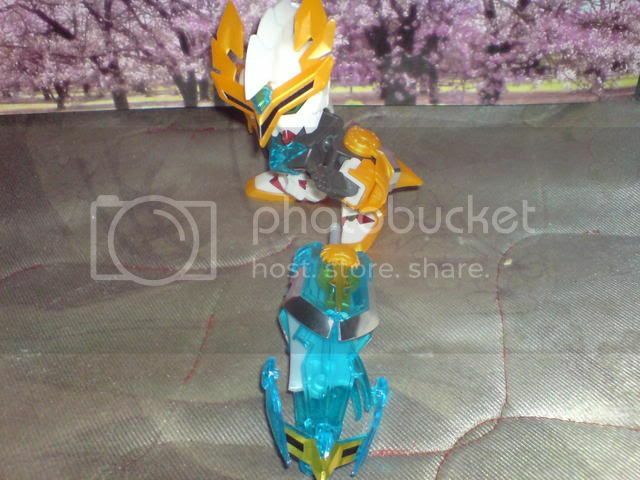 But after building the Fuzors version and comparing thier colors, the Fuzors version was an instant hit to me. 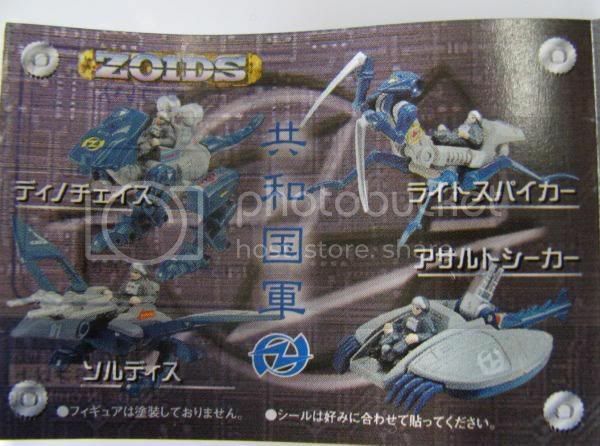 If you are planning to get a Lord Gale,between the NJR and Fuzors, better get the Fuzors version.